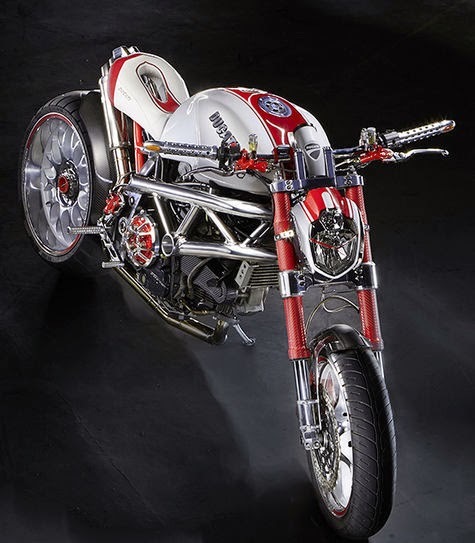 Ducati Cocaine is the name that pinned to the figure of a custom motorcycle made ​​from 2000 Ducati Monster 1000. By using one big-engine that has a capacity of 1000 cc, making it more muscular while being a modification 'target' of Navel Factory, the builder from Czech Republic. The Monster 1000 has a simple air and oil cooler, 2-valve twin, with no water cooler making it the right choice and easy to customized. 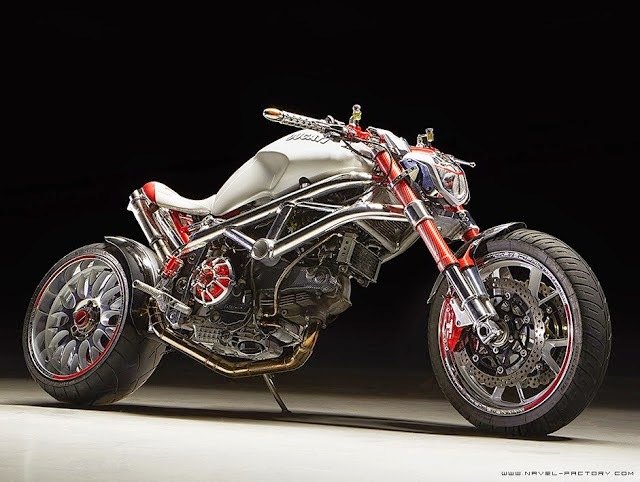 Actually, this machine is designed for the other Ducati motorcycles ie. SR4 and ST models. For its frame composed of piping materials made ​​of aluminum with a diameter of 50 mm and its length of wheelbase which is close to the cruiser-type motorcycles that usually used for touring. There are several other changes such as in the front-end sector that uses the Brembo fork of Ducati SS. As for the rear sector, its swingarm uses re-adjusted part that taken from innate part of Honda VFR. 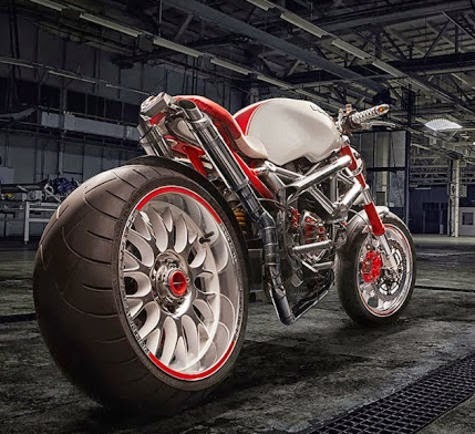 The braking system sector, this custom bike uses the Brembo part and adopted the Ducati SS. It is difficult thing in the process of 'development' ie attach the BMW wheels that has a size of 18 x 9,5 inch on the bike's rear section. 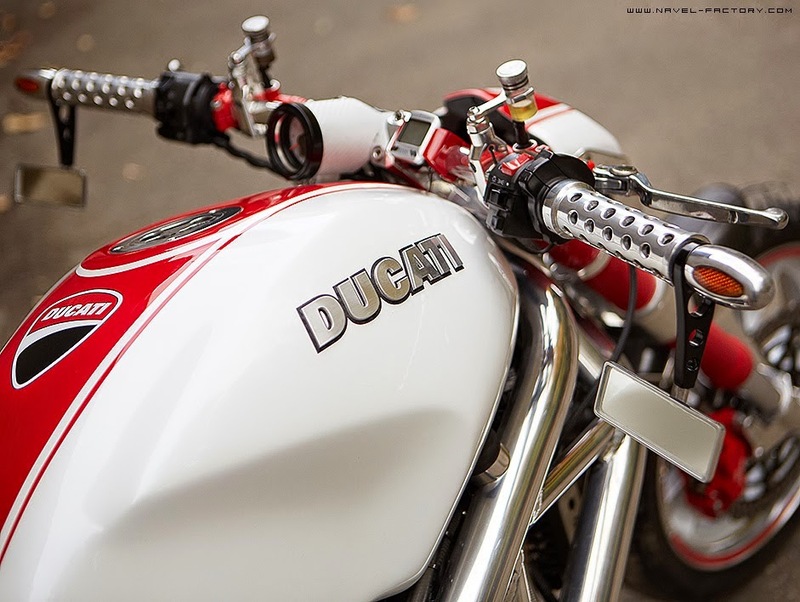 Although the builder brings the simple concept, but for some of the bike's accessories were not related has to changed. 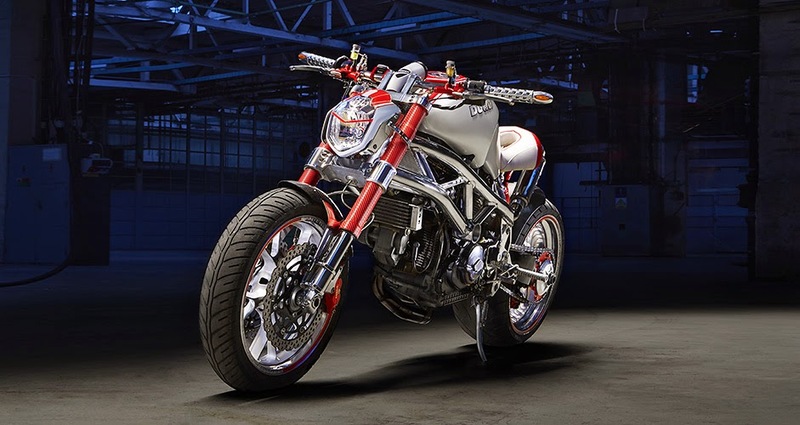 Some of these target sectors namely handlebars, footrest, gear-shift, headlamp glass, exhaust systems, seats, where are all-parts was calculated carefully to support the monster's radical look.